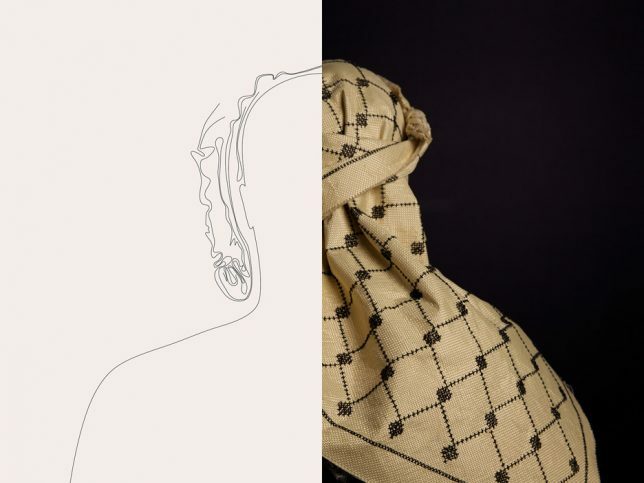 Somewhere between disturbing practical and abysmally pessimistic, this gender-neutral, anti-ballistic headscarf draws on a long history of regional fashion traditions but with a depressingly contemporary twist: it is constructed from Kevlar. Salim al-Kadi seems ambivalent on the question of the whether this accessory is practical or political, but he put serious effort into making it work, regardless. 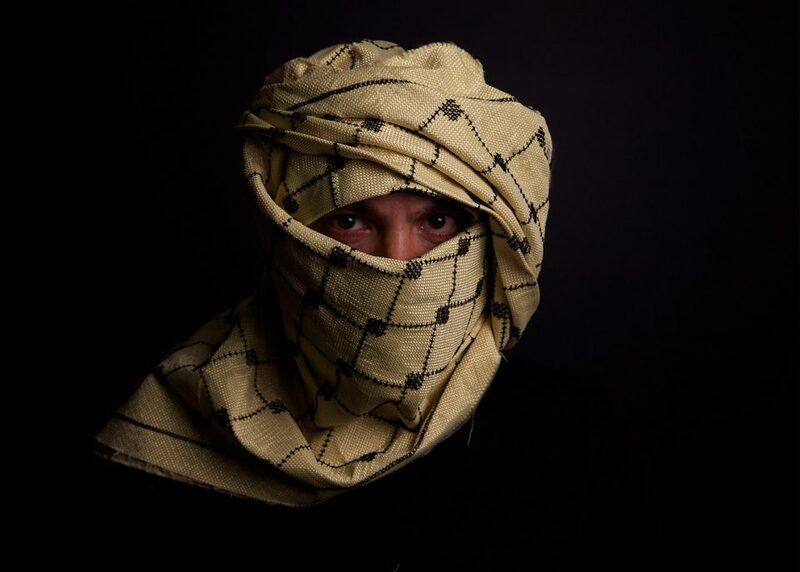 The K29 Keffiyeh 001 was made from para-aramid synthetic fiber, of the kind used in body armor including bulletproof vests. 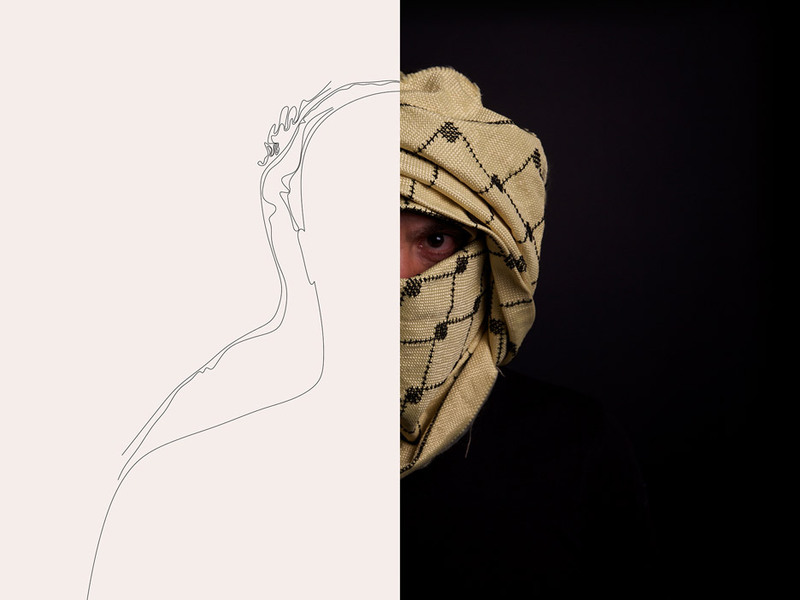 The architect brought the Kevlar to a Palestinian refugee living in Lebanon and had her weave in a traditional pattern without compromising the bullet-resisting efficacy of the material. Of course, a shot to the head, cloth or no, is certain to be damaging if not deadly, regardless of whether the bullet is stopped. 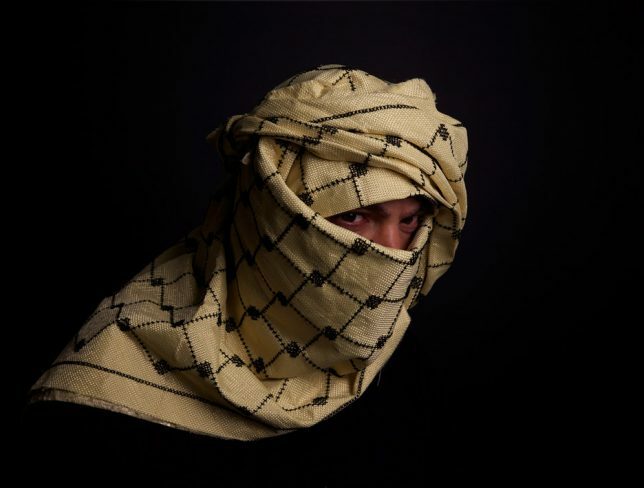 Historically, keffiyeh have been worn around the Middle East as a way for men (and women) to gain protection from sun and sand. It is wrapped in different ways depending on the place, but does not stand out, a sort of hidden-in-plain-sight statement about the state of war and tension in the region.